So we are going to install a Service Pack. 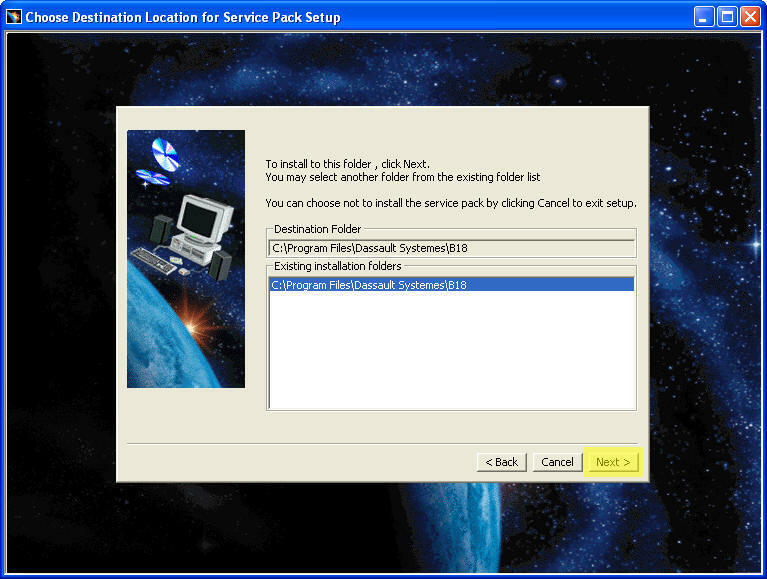 To access it you are going to need to contact either IBM or your Business Partner to Order the Service Pack or to Download it from their FTP Site. If you downloaded the Software unzip it onto a directory where you can access it. If you ordered it on CD then pop in CD Number 1. If you downloaded it then you will need to go to the Directory where you placed it. I put it on my Desktop in a directory called SP4. 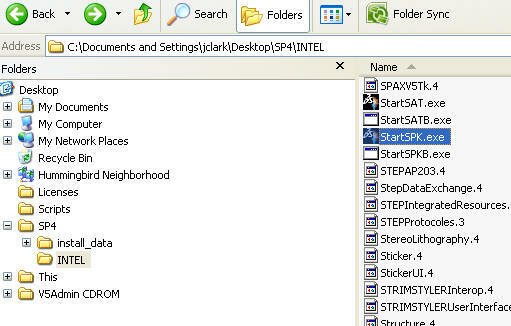 Go into that folder then into the INTEL Folder and find the file who’s name is StartSPK.exe (Tricky eh?). 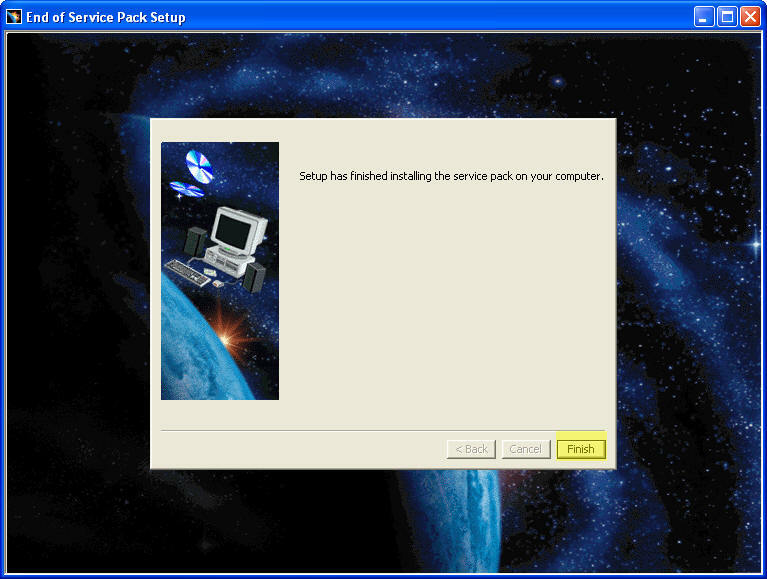 Double click on that to start the installation. Or if you ordered the CD’s. Take the 1st CD and place it in the CDROM/DVD Drive. One of two things will happen. Either the installation will start and prompt you to select OK or you will have to open a Windows Explorer and go to the drive where the CD is located and then go into the INTEL Folder and select StartSPK.exe. 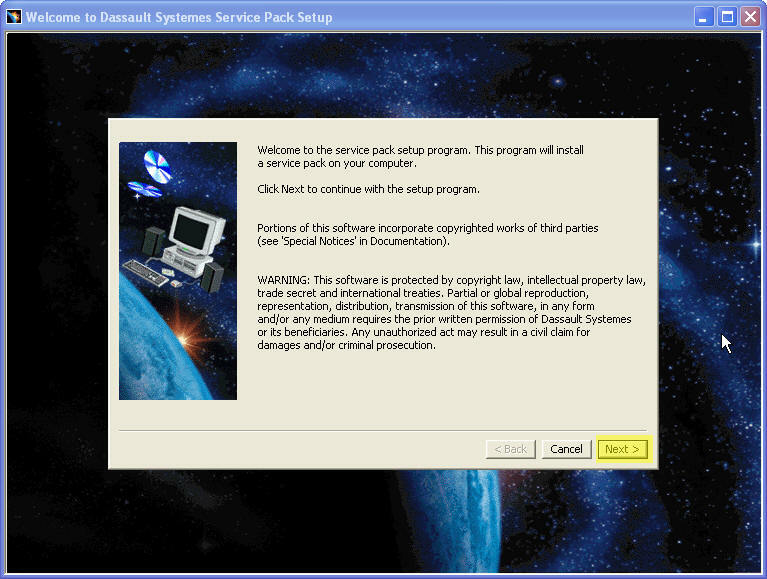 The Welcome to Dassault Systemes Service Pack Setup Screen will appear. You will need to select Next > to continue. CATIA will then search your system for your CATIA/Enovia/Delmia installations. 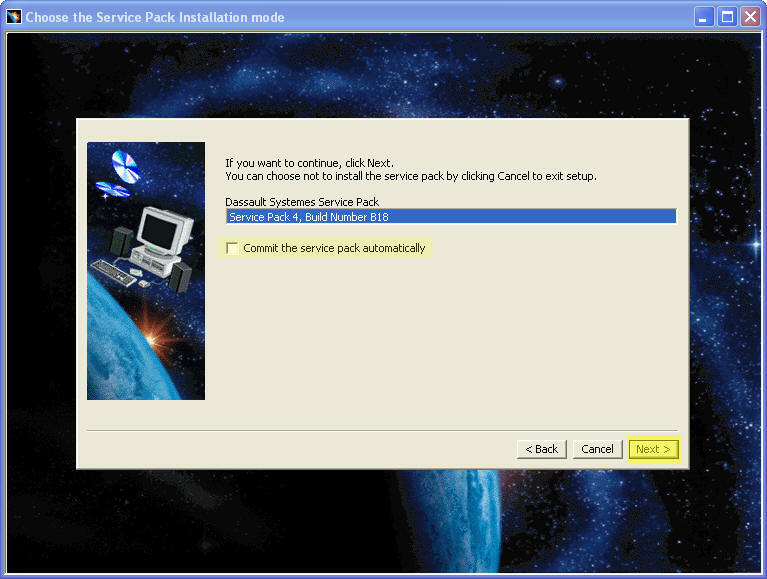 You will need to select which installation you want to install the Service Pack onto and then select Next >. The CATSysDemon.exe is running. 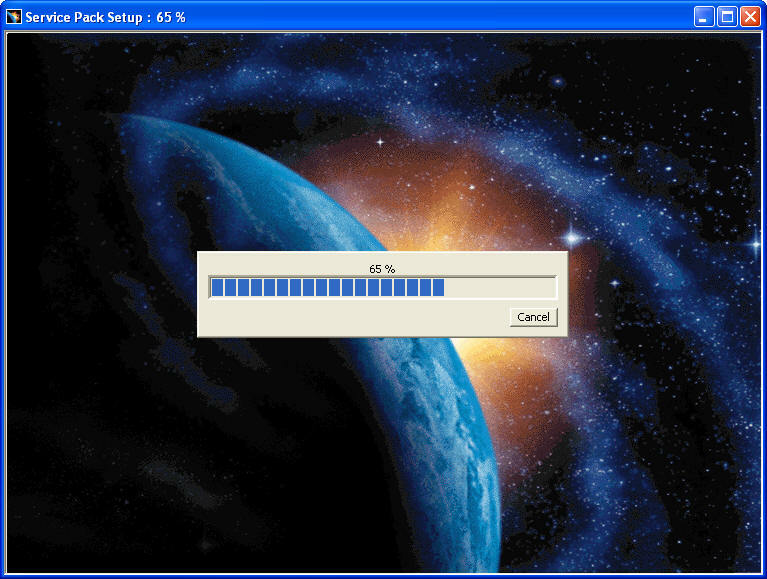 The installation must close the process to continue the installation of the software. 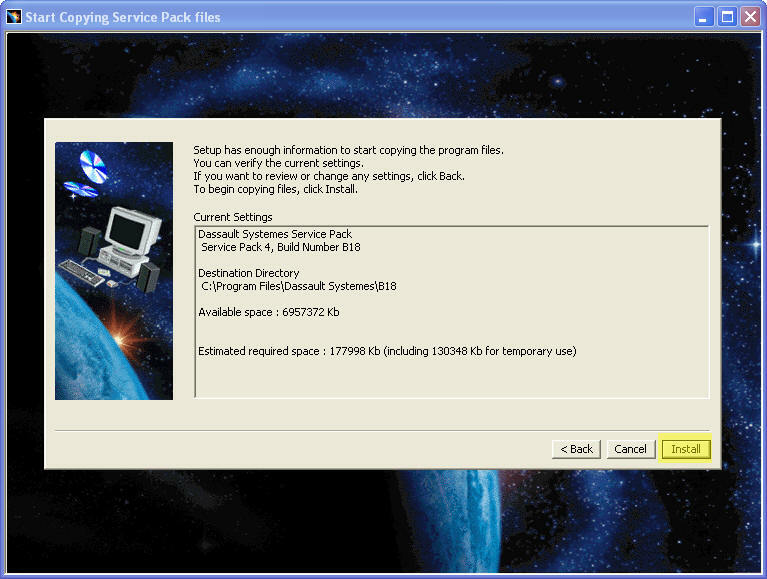 Here the installer is asking you for permission to terminate them. If you answer No the installation will exit. Select Yes. Committing the Service Pack has its advantages and disadvantages. We will discuss that one in the future as it will take at least one mailer to talk about it…. maybe more. So for this purpose we are going to Not Commit the Service Pack. And Select Next >. Verify your selections and select Install. Finally.. The installation is complete and you are now ready to start working away with CATIA. Select Finish to continue and then Start CATIA. We will be covering Silent Installations Next Week.